Defense Minister bans entry of gas and fuel into Gaza as long as arson terrorism against the south continues. Defense Minister Avigdor Liberman ordered that fuel and gas be banned from entering the Gaza Strip through the Kerem Shalom crossing, from tomorrow until further notice. The decision was made in light of the continued launching of Molotov cocktails from the Gaza Strip. Just last week, Liberman decided that the Kerem Shalom crossing would be partially reopened and allowed fuel and gas to enter the Gaza Strip in addition to food and medicine. 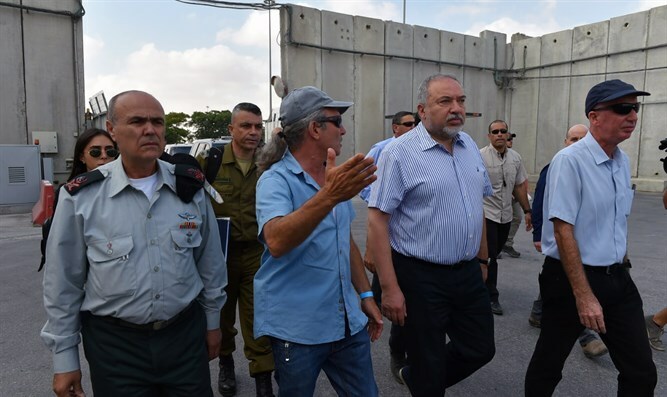 Liberman's decision stems from the fact that Hamas has not completely stopped the terrorist attacks, but has tried to maintain a low level of firebomb attacks and friction on the border fence. The crossing had been closed for two weeks to the transfer of all types of goods except for humanitarian equipment, as recommended by the chief of staff. In addition to closing the crossing, it was decided not to further extend the fishing area in the Gaza Strip for the fishing season. In the last three months the space has been extended from six to nine nautical miles. Since the pressure has been reduced, the fishing area has been extended, and so far the IDF has not decided to reduce it.